ZEBALLOS, B.C. – Residents of the Village of Zeballos had wildfires to deal with through most of the summer. Now, with heavy rain descending on the North Island, they’re dealing with the threat of landslides. On Sept. 8, some of Zeballos’s residents were issued an evacuation order due to landslide risks. The village’s Chief Administrative Officer Eileen Lovestrom updated the situation to MyPowellRiverNow.com. According to the province, based on initial observations and an abundance of caution for human life and safety, the Ministry of Forests, Lands, Natural Resource Operations and Rural Development recommended an evacuation order. 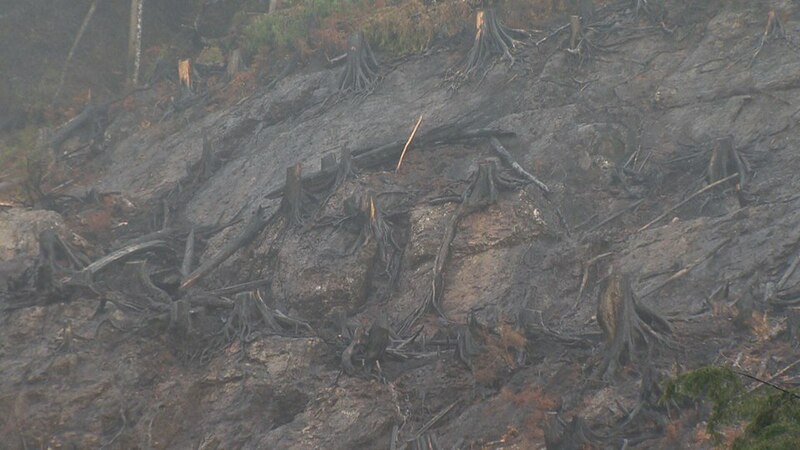 It is not uncommon for slopes of the type seen above Zeballos to be at risk from landslides, particularly with the wet and windy environment that is typical of the area around the village. Ministry staff are finalizing terms of reference for a detailed Post-Wildfire Natural Hazards Assessment and will issue a contract for that work. That report should help to determine when people can return to their homes, the province noted. The final decision for when people can return to their homes will be up to the Village of Zeballos. Once village staff and council receive the slope assessment, they will have some knowledge to base their decisions on, regarding next steps. Some of the evacuees are staying with family or friends outside of the evacuation zone while others have left the village completely until they get the go-ahead to return to their homes.